You may think you already know how to play a bingo game. Just sit around and wait until you get five in a row, right? 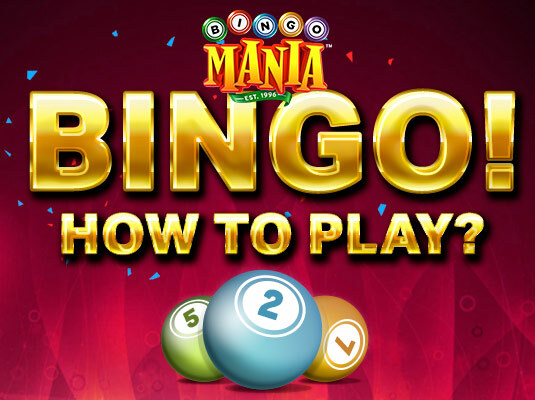 There are actually quite a number of variations on playing bingo games that keep people coming back to bingo halls and online gaming sites like BingoMania. We’re going to talk about some of those variations in this article so you’ll be ready to play when you dive into one of our many gaming rooms. Whether you like wearing your bunny slippers or not, the classic way to win bingo is to get five in a row horizontally, vertically, or diagonally on a 5×5 card. To be honest, most games are still played like that. When you know how to play other bingo variations the game can get a lot more exciting. Let’s talk about blackout games, also known as coverall games. You win a blackout game by blotting out all of the numbers on one of your cards. Lest you think that this is just bingo drawn out long, most blackout games are linked to a progressive jackpot system. Every time 10 balls are pulled, or some other predetermined amount, the amount that you can win goes up. This keeps the suspense high throughout the whole game and makes lasting longer more fun. 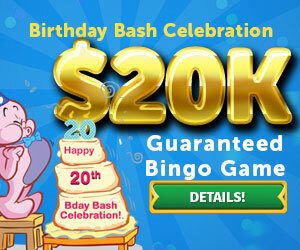 Remember, Bingo Mania will be hosting a $20,000 Guaranteed Bingo with 4 part coveralls. Be sure to mark your calendars for this Birthday Bash Event. Double bingo: Two complete lines on two cards. Diamond: A diamond shape with the points in the middle of the edges. Layer cake: Rows 1, 3, and 5 filled in. Lucky number: Make the shape in the middle of the card. Seven is the most common but any number will do, even 13! Arrows: Make an arrow pointing in a particular direction of the compass. Alphabet: Many letters of the alphabet can be spelled out on a bingo card! These are just the tip of the iceberg. In traditional Bingo Halls you can find all sorts of crazy patterns. One of the reasons that complex patterns are more exciting is that it’s more difficult to see when you’ve won. It takes a sharp eye to know when you’ve got an airplane block filled in just right! Try some of these variations in our bingo rooms. 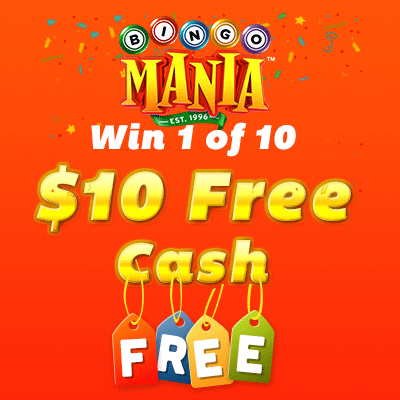 You never know when one is going to pop up, and you can usually win extra bonus cash with them too! Remember, with auto-daub feature you can daub along or have your cards automatically daubed with every call. Your turn, do you still play at bingo halls?